Tank setup: Larger aquarium (60 gallons/270 litres plus) with rocks and wood for decor. Compatibility: Territorial, aggressive - keep with fish of a similar size and temperament, or with robust shoaling fish, such as larger barbs. Water chemistry: Around neutral pH (6.5-7.5), medium hard. Feeding: Omnivorous: live, frozen and flake/pellet foods. Sexing: Females are generally smaller. Mature males develop a 'nuchal hump' on the forehead. Breeding: Substrate spawner. Both parents tend the eggs and fry. 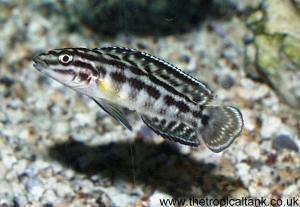 Older fish are likely to be difficult to pair up. 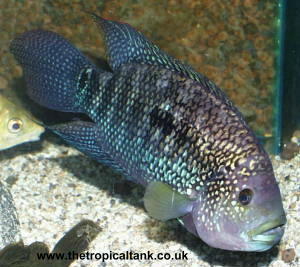 Comments: Two colour varieties of the "Green Terror" had long been recognised in the aquarium trade, one with white edges on the tail and dorsal fins (often known as the Silver or White Saum), and one with yellow/orange edges (often known as the Gold Saum). 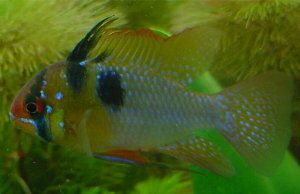 The Gold Saum "Green Terror" is thought to be the true Aequidens rivulatus, though some believe it may be a closely related species, Aequidens aequinoctalis. 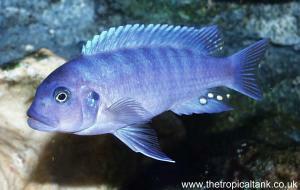 The Silver Saum or White Saum "Green Terror" has now been described as Andinoacara stalsbergi.